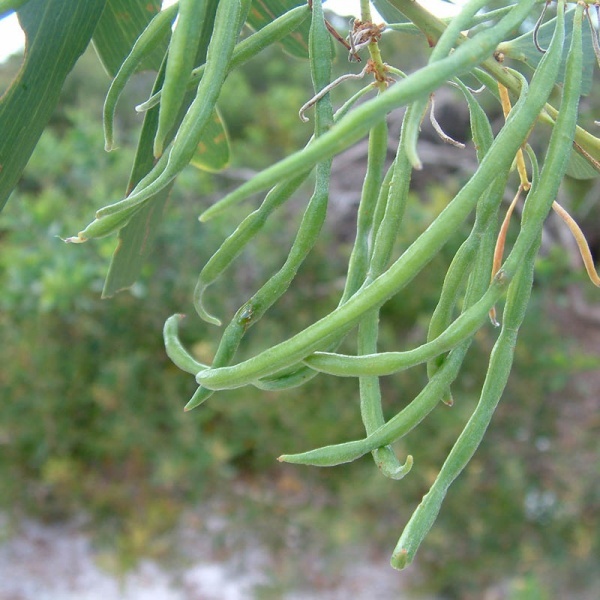 Tasmanian Aboriginal people used to roast the ripening pods, pick out the seeds and eat them. In Sydney, the Aboriginal people steamed the seeds and said they tasted like green peas (Low, 1991). Seeds only. The pods are an irritant and inedible. When roasted, the seed has a pleasant nutty flavor and can be used in baking cakes, breads, biscuits or as a coffee bean substitute.